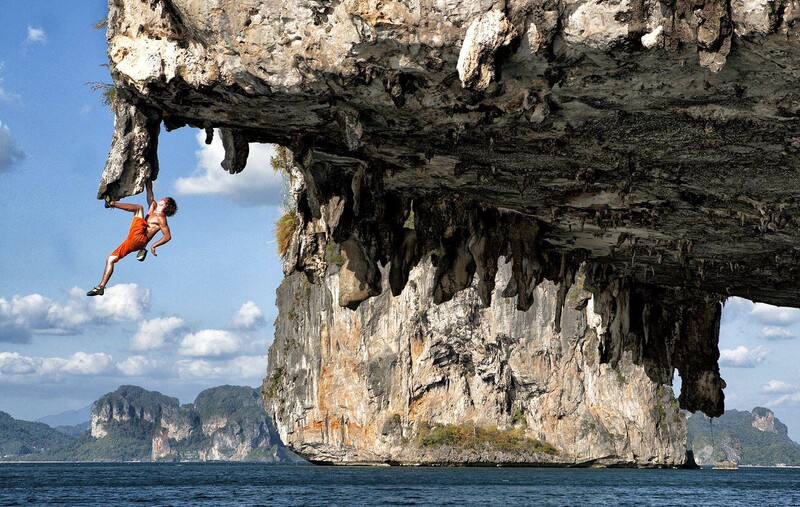 Ben Rueck deep water soloing in Thailand. Poda Island. This climb is about 75 feet off the deck or more depending on the tide at which point you drop into the Andean Sea.